Lucas was born in little Singapore to a Samoan Matai (Chief) and a Maori Army Major. He was raised in the wet of Auckland NZ as well as the heat of Brisbane, Australia. At age 18 he was set to join the military full-time until he stumbled across an old 16mm film camera, he soon opted for the other kind of shooting. 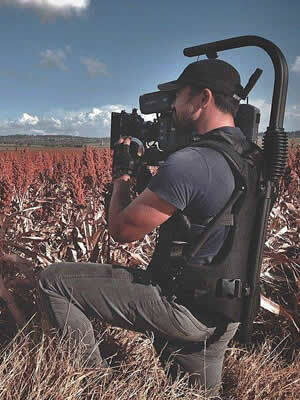 At 23 Lucas was accepted into the Australian Film Television & Radio School in Sydney to specialise in cinematography. At 27 Lucas has already won 14 ACS Awards including three ACS Golds. He has worked in France, Germany, The UK , New Zealand and China. His first feature documentary with the Australian Ballet, ‘Ella’, has been selected to premier at the 2016 Melbourne International Film Festival. With his upbringing and mixed heritage, Lucas brings a different attitude and eye to his craft. Thanks to his military and football background his emphasis is in collaborating and being a ‘team player’. His documentary work has influenced his craft heavily as it taught him the art of working with available light and with speed.